ASEAN Now and the FutureConnectivity and Economic Corridors Cambodia | jibtv.com | Japan International Broadcasting Inc.
Part Four of ASEAN Now and the Future – Connectivity and Economic Corridors, was produced by National Television of Cambodia (TVK). Cambodia is widely known for the World Heritage site of Angkor Wat, drawing tourists from all over the world. The country has recovered from the ravages of civil war and its economy is now growing strongly. In the capital, Phnom Penh, the great rivers restricted traffic in and out of the city. The Mekong River has also limited exchange between regions. The program introduces the bridges built by Japan, which have contributed to solve these problems. 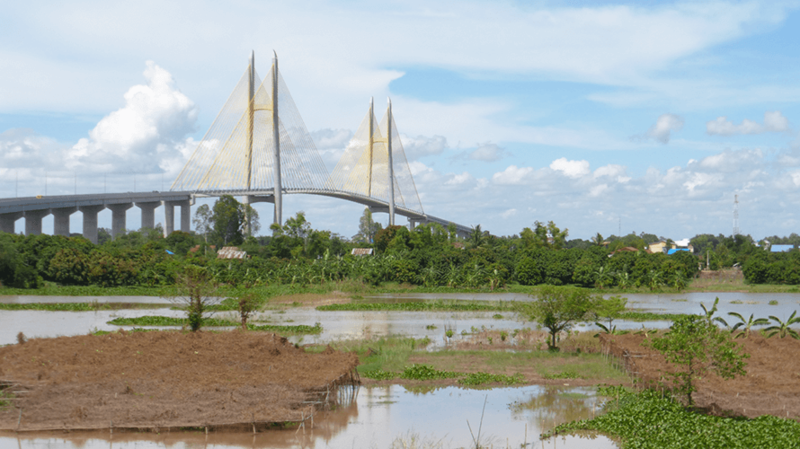 We also travel along the Southern Economic Corridor connecting Cambodia to Vietnam via the Tsubasa Bridge, the 3rd bridge built by Japan, visiting the border town as well as Sihanoukville Autonomous Port, connecting the country to not only other ASEAN countries but the world. We also see Japan’s support to education in Cambodia such as building new schools, the establishment of teachers education colleges as well as Japanese private companies’ contribution to manpower development through the hands-on teaching they provide to local staff. The program is filled everywhere with the welcoming smiles of the Cambodian people.